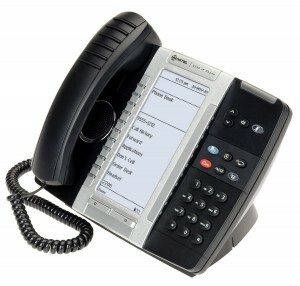 The next-generation Mitel IP 5330e Phone brings flexibility and resilience to the enterprise desktop. Part of the next-generation desktop family, the Mitel® 5330e IP Phone demonstrates Mitel’s commitment to ease of use and enhanced user value, while delivering innovative features and applications. A full-feature enterprise-class telephone, the dual-mode 5330 IP Phone provides a large backlit graphics display with 24 programmable self-labeling keys, superior wideband audio, and a built-in HTML toolkit for desktop applications development. The 5330 IP Phone supports hot desking and clustered hot desking, as well as resiliency. It is ideal for enterprise executives, managers, and employees, and can be used as an ACD agent, as a supervisor phone, or as a teleworker phone.